Dubai: Former Spain and Barcelona legend Carles Puyol has called on the younger generation to rise above various modern day challenges and forge a career course in sport. Puyol, who was briefly hospitalised for a minor illness earlier this week in Barcelona, landed in the UAE as the ambassador of the Dubai Sports Council-organised Third Under-13 Dubai Intercontinental Football Cup to be held at Dubai Sports City from February 14-16. It is important for these kids to have that exposure of being in a competitive atmosphere at this crucial age. I’m sure new stars will be born at events like this one. “In a way, our generation was blessed as we could set out our paths and follow our goals with all the passion we had. The youngsters these days face far more challenges as they have a lot of other distractions in their lives,” Puyol said after announcing the 20-team tournament that will be held over three days next week. “So for these young ones to excel can be quite a demanding task merely because they have to handle all these modern-day gadgets. But at the same time, I feel that the youngsters these days are fortunate as they have access to the latest techniques, tactics and systems of play. Puyol was Barcelona’s captain from 2004 until his retirement in 2014. During the course of his one-team stay, Puyol appeared in 593 competitive matches for his club while winning an incredible 20 major titles, including six La Liga trophies and three Champions League crowns. He also won 100 caps for Spain, and was part of the squads that won Euro 2008 and the 2010 Fifa World Cup. It is said that when he was younger, Puyol’s parents were sceptical about his insistence of becoming a footballer. But in 1995, Puyol joined Barcelona’s youth system at La Masia and then rose through the ranks until his senior team debut in 1999. 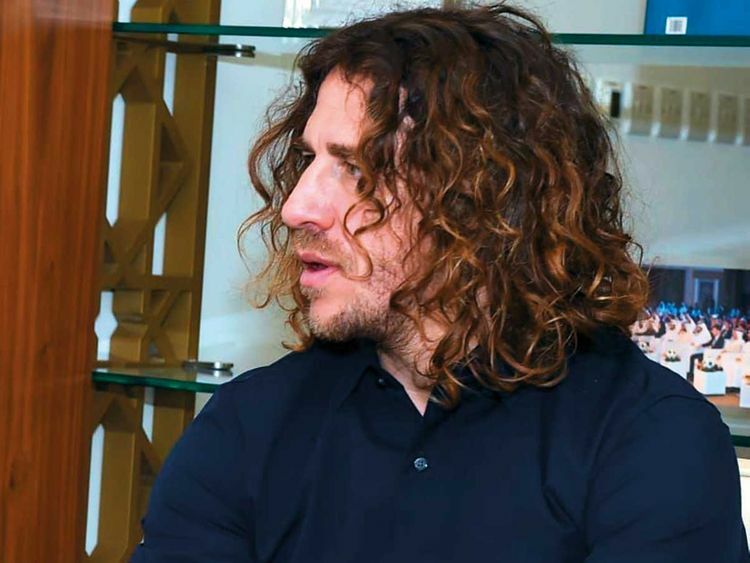 “It’s a shame that when I was young I never had the opportunity to play in such a tournament,” Puyol said while referring to next week’s U13 Dubai Intercontinental Football Cup. The tournament will contain youth teams from 20 clubs, including Barca, Real Madrid, Juventus, Chelsea and Al Ain.